"Taste of Sailing Saturdays - 3 hour Keelboat" & "First Sail Fridays - 2 hour Keelboat" Lessons! Sail with us on Saturdays in one of our safe, stable, and fun Sonar Class Keelboats. Your coach will help you and three others experience the thrill of sailing without a huge time and cost commitment. 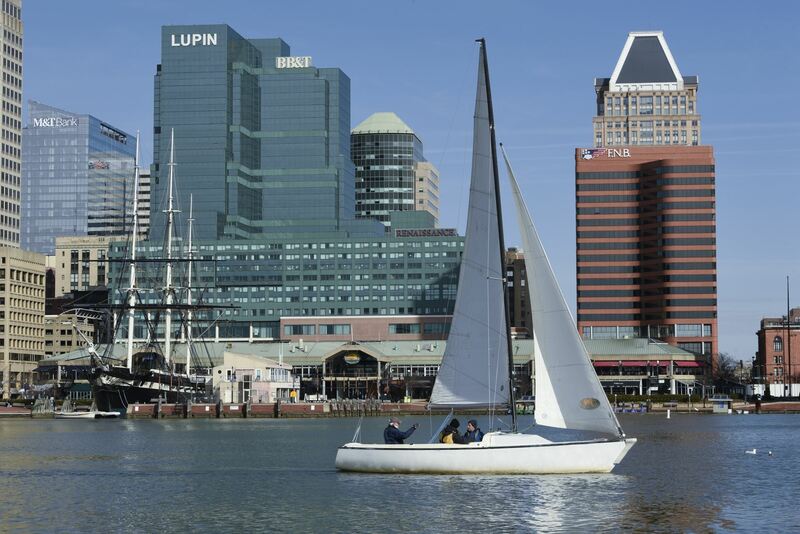 Each "Taste of Sailing" course is 3 hours of fun where you will have a chance to try all the sailing positions while exploring Baltimore's awesome Harbor. This is a fun outing for those new to the water. Can't get away for a Saturday afternoon? Try sailing with one of our "First Sail Fridays!" Our instructors are excited to sail with you into a Baltimore sunset. The First Sail Fridays are slightly shorter than our 3-hour "Taste of Sailing" but the content basics are the same and you'll still have an opportunity to explore the harbor and try all the sailing positions.